Special needs: Give the plant a trellis to save space. When to plant: Grow these in spring and summer, when the weather is warm and the danger of frost has passed. How to grow: These cucumbers can grow in containers and I recommend doing that. I also recommend growing these hydroponically, as the plants grow much quicker and much larger. 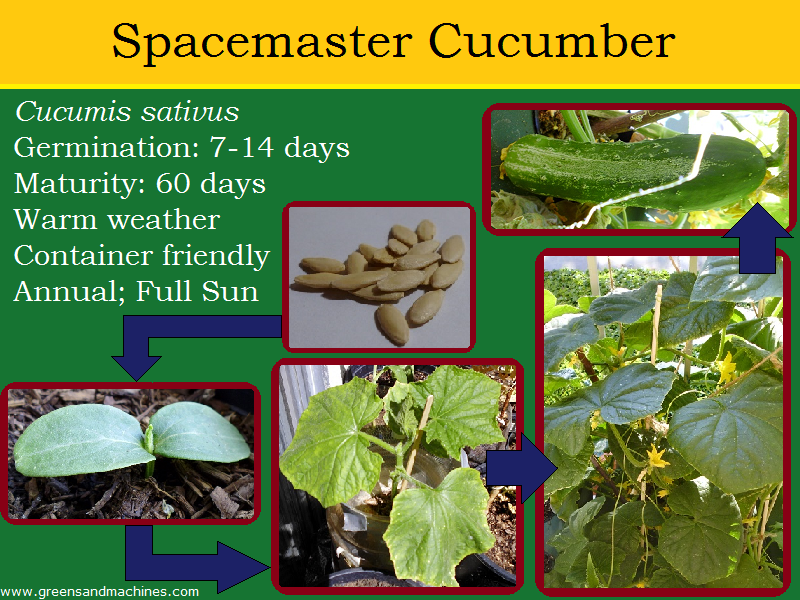 How to harvest: If you are in an area with few bees, you will need to hand pollinate the cucumbers manually. The plant grows both male and female flowers, so use a q-tip to swab pollen onto the female flowers.